Decisions, decisions, decisions. When a child comes from a traumatic past, they consistently need decisions made for them. Even months and years after their adoption or placement in foster care, a hurting child will need others to help guide them more than a typical child would. But sometimes too much control is taken away from them, and they feel like they can’t make any decisions in their life. The child who has attachment issues isn’t capable of making difficult choices, yet, they need to be given the chance to make choices occasionally so they don’t feel so out of control. 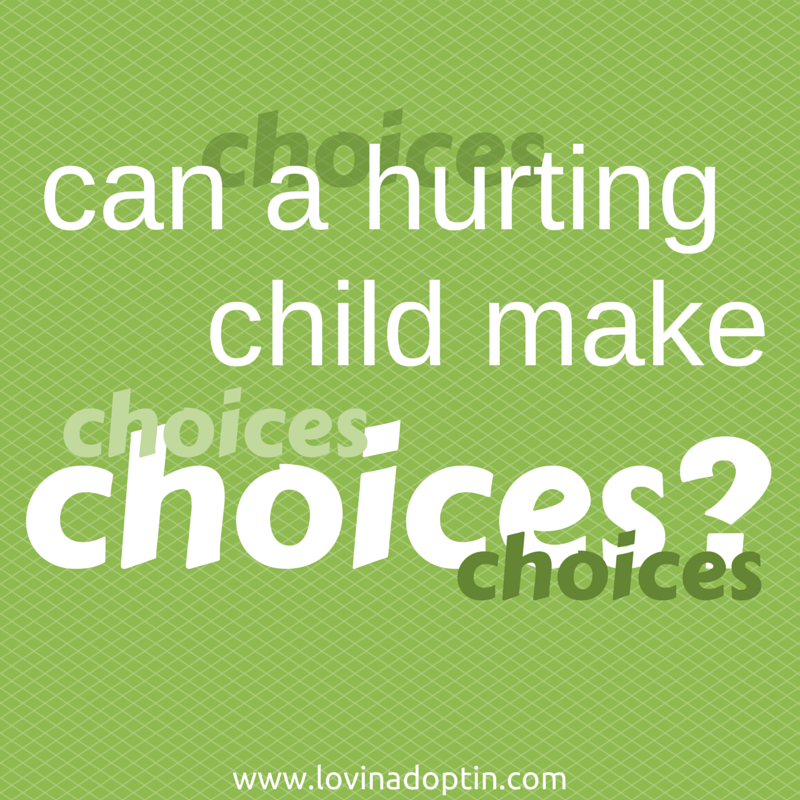 Plus, when a child makes choices, they naturally learn about consequences, either positive or negative. If you have a child who has recently joined your family, it’s good to give them choices in small increments, and as they do, you will be able to identify when they’re ready to have more responsibility. I came across this great video on the Autism Site. Below, Rob from Autism Spectrum Therapies, talks about ways in which you can give a child more choices. The video is less than four minutes long, and gives some excellent tips on allowing your child to make decisions in their everyday life. Although Rob is talking about Autism, it relates just as much to your adopted or foster child.